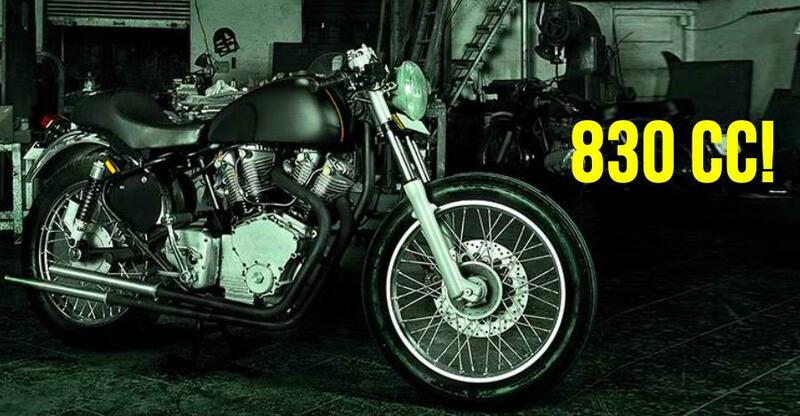 830cc Royal Enfield days away from unveil: Harley Davidson, Triumph watch out! Royal Enfield will soon officially launch the 650cc, parallel-twin engine powered Interceptor and Continental GT in India. They would be most-powerful Royal Enfield motorcycles in the line-up around the world. A few days back, Royal Enfield posted a teaser picture of a Royal Enfield motorcycle that would be launched at the 2018 EICMA show in Italy. New details confirm that it would be an 830cc Royal Enfield cruiser bike. The new Royal Enfield motorcycle will take on Triumphs and Harley Davidsons. Just like big capacity Triumph and Harley Davidson retro motorcycles, the new Royal Enfield is expected to spawn various styles. The new Cruiser that has been officially announced by Royal Enfield’s social media handles. It would be a prototype model and not a launch. The upcoming 830cc powered cruiser bike would be the most powerful Royal Enfield in the market but it would not be available for sales yet. The all-new motorcycle prototype would get the liquid-cooled, 830cc engine. The official unveiling will happen on November 6. The engine was developed by Royal Enfield and Polaris industries through a partnership that has now become defunct. It would be a BS VI-ready engine would be the biggest ever made by Royal Enfield in the past two decades. The cruiser would get a very long wheelbase set-up, making it perfect for long distance journeys. 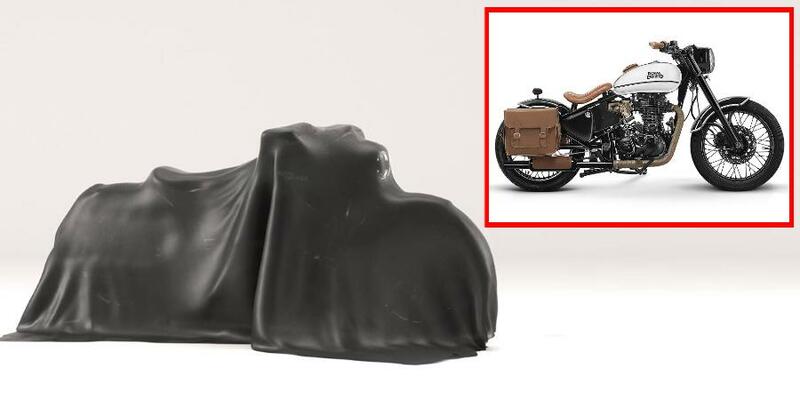 The silhouette of the bike also reveals that the upcoming bike would get a strong design outline and would be quite different from the Classic model available in the market. The engine would generate a maximum power of around 90-100 Bhp, making it the most powerful Royal Enfield to be built by the manufacturer. The report also says that the all-engine was developed in the secrecy and there are very fewer details. Earlier this year in March, Royal Enfield announced that the Joint-venture is not working and the partnership was broken. However, it would be great to see the all-new engine, which is also the most powerful one. Even though the prototype is unveiled soon, the production version of the Royal Enfield 840cc cruiser will take more than a year to become a reality. Royal Enfield is planning to enter the heavy-weight segment and the 650 Twins would the first two products in the market. At a later stage, we can see the same engine available with the likes of Royal Enfield Himalayan. However, for time being the Interceptor and Continental GT 650 would be the biggest two launches from the Indian manufacturer in the foreseeable picture. « Tata Harrier vs Jeep Compass: All that we know so far!